The cyberworld in which we spend our days — and on which our lives depend — is not safe, and is becoming more dangerous all the time. From nation-states trying to sway elections with fake news to ransomware that shuts down hospitals, we are living in a “Wild West” in which any data, or any transaction, may be attacked at any time. And like travelers in a lawless frontier, we are left to scan the horizon constantly for trouble, scrambling to plug the leaks in defenses we don’t quite trust. We are vulnerable not just because of the increasing sophistication of hackers, who are today as likely to be well-funded criminal organizations or governments as petty thieves or amateurs out for the thrill of defacing a Web site. Nor is the greatest threat the development of new offensive tools such as quantum computers, which might soon be powerful enough to crack today’s most widely used cryptographic ciphers. The biggest problem is that our basic approach to cyber security is flawed. Today’s “world class” security is based not on randomness, but on our (over)confidence in the math underlying our cryptography. This is inherently vulnerable to a mind like that of Alan Turing, whose singular brilliance proved decisive in breaking the German Enigma code in World War II. Unfortunately we don’t know how many “Alan Turings” work against us in this raging cyber war. Yet, the conventional wisdom binds us to a “math v. math” battleground in which we cannot win often enough to be safe. And with each passing year, the odds favor the attackers more as the worldwide reach of the Internet and cloud computing serve as raw meat to better equipped hackers, and shadowy gangs of “Alan Turings”. 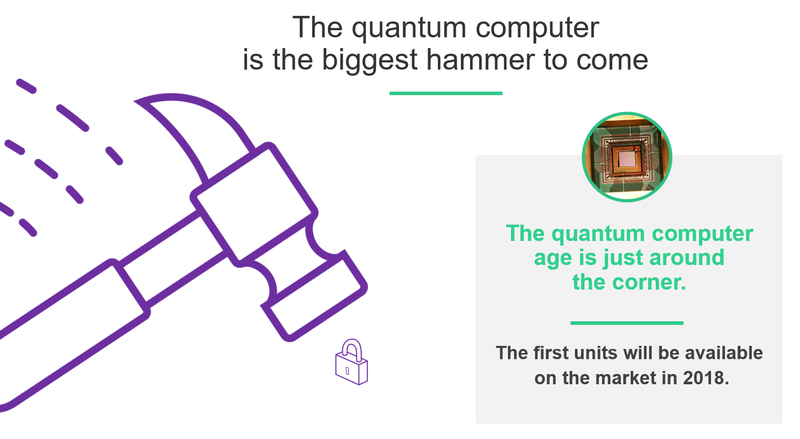 If all that weren’t bad enough, the amount of computing power available to the attacker is about to expand exponentially with the advent of quantum computers. These will soon be able to efficiently solve the cryptographic math problems that protect most of today’s digital signatures, hash and encryption functions. When such quantum computers become available (in years or even months) our IT systems will be even more vulnerable than they are now. The use of random combinations of letters and numbers to “scramble” data so it cannot be read is as old the first codes and is at the heart of all modern cryptography. Even the best cryptography can, however, be broken because the randomness is used sparingly, and the hackers know how much was used and, thus, how much guessing they must do to break the code. The high cost of storing and processing large amounts of random information. In the days of paper ciphers and human (rather than electronic) processing, there was no remotely feasible way of handling the amounts of randomness required to make the Vernam cipher work. Today, the rapid and continuous decline in the cost of processing power, and of storage, make it feasible to process the amount of “randomness” required by the Vernam cipher on even common mobile devices such as smart phones. The lack of truly random information. While many of today’s encryption algorithms make use of “random” sequences of letter and numbers, under the hood, that “randomness” is generated by a non-random computer program. However clever or complex the program, it is still based on an underlying pattern that a smart enough person (or powerful enough computer) could reverse engineer to discover the pattern, and thus, the underlying information. Today, relatively small and inexpensive random number generators tap quantum fluctuations at the atomic or photonic level to produce true randomness in the quantities required by the Vernam cipher. The use of massive amounts of true randomness — what we call Post Quantum Cyber Security — turns today’s model, based on complex mathematical ciphers, on its head. This true randomness protects us from hackers who are smarter than we expect. Relying on randomness, rather than mathematical complexity, allows the owner of the data to choose how much randomness to use and thus how much security to defend her data with. A related technology, Quantum Key Distribution (QKD) will play an important role. QKD uses the fundamental principles of quantum mechanics to create and share large random encryption keys and to establish secure communication channels among users. 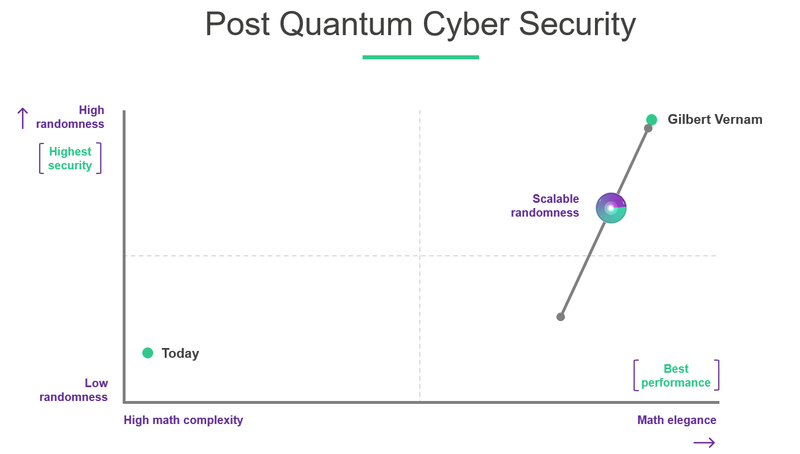 We recommend a three-step approach to implementing the Post Quantum Cyber Security needed to protect our systems from today’s, and tomorrows, threats. 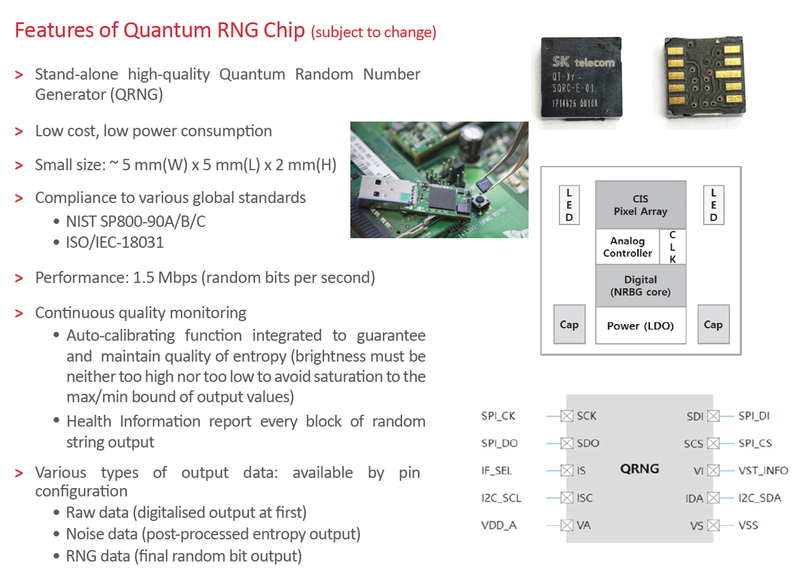 Leading Edge Quantum Random Number Generator (QRNG) Hardware for IoT, Security Applications, Critical Infrastructure, Blockchain Seed Generation, Modelling and Analytics. Source: ID Quantique SA. The ability to finally achieve true, cost-effective security, once and for all, is finally within our grasp, with Post Quantum Cyber Security solutions available from companies such as BitMint, Cambridge Quantum, China Quantum Technologies, Crypta Labs, Dyadic, ID Quantique, IOTA, Post Quantum and THE QRL. China will soon deploy the world’s largest “quantum optical fiber communications system” connecting Shanghai and Beijing over a distance of 2000 km. As a further evolution China is evaluating to implement a quantum communications network among the some of the biggest Asian and European cities by 2020 with plans to extend the network globally by 2030. Today, entire economies and public infrastructure rely on the security of smart devices linked by the global Internet. Tomorrow, our everyday lives will rely on the security of such devices, ranging from medical implants to self-driving cars. The stakes are becoming too high to wait for hackers to find vulnerabilities for us, and to keep hoping “our” experts are smarter than theirs, and “our” computers more powerful than theirs. Dr. Carsten Stöcker is founder of Interlinked Protocol. Interlinked is a scalable decentral platform for the fourth industrial revolution providing secure identities and digital twins bridging the physical, biological and digital spheres. Interlinked provides Autonomous Digital Twins, that are semantic and verifiable. Carsten is a physicist by training with a Ph.D. from the University of Aachen. He also serves as a Council Member of Global Future Network for the World Economic Forum. Prior to founding Spherity GmbH, Dr. Stöcker worked for innogy SE, German Aerospace Center (Deutsches Zentrum für Luft- und Raumfahrt, DLR) and Accenture GmbH. Founder of Interlinked Protocol. Interlinked Protocol is a decentral platform for identity, digital twinning & agent transactions for 4th industrial revolution.